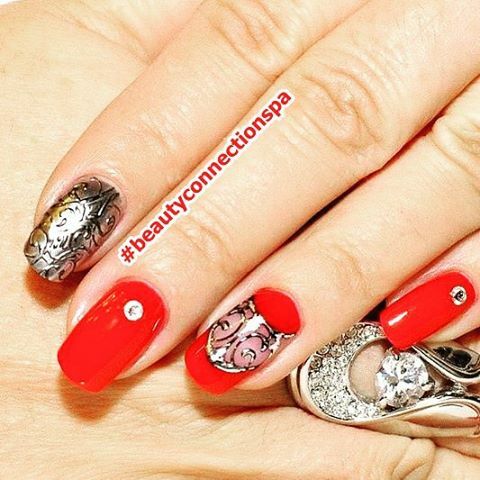 Welcome to Beauty Connection Spa - biggest spa in UAE and the industry leader in the beauty world. It is brainchild of one of the leading entrepreneur of United Arab Emirates, Mrs. Kawthar Makahlah Al Shamsi. Our staff consists of over 300 employees, and our premises cover an area of 30,000 Sq Ft. this surpasses every other facility in this region therefore, making us the Biggest Day Spa in the World. 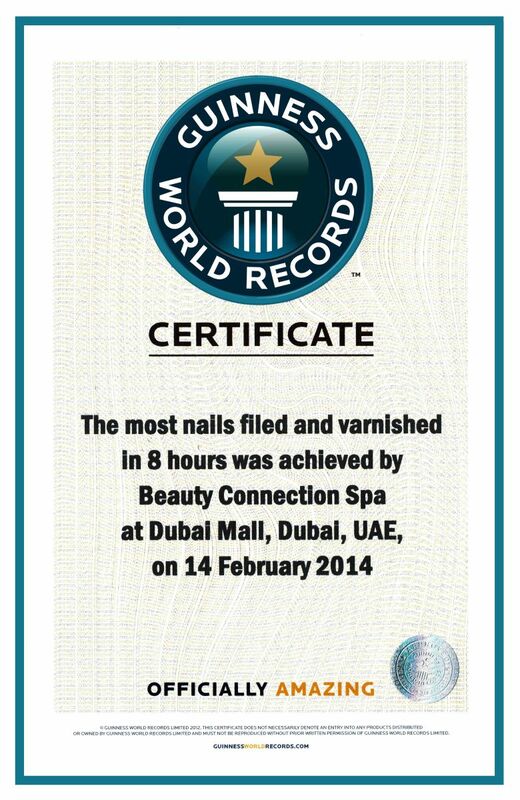 Established in 2002, we are World Record holders for the most nails filed under eight hours. Beauty Connection Spa with its renowned experience in the beauty industry excels in its high quality and affordable service at all levels. We have a unique industrial concept, there is no need to book an appointment, you can just walk-in at your convenience and have a dedicated delivery of service, coupled with the high standard of hygiene. This is why we are the best Dubai spa! Our automated vending system is something, which is never seen before; you can have the luxury of choosing your services as per your desire. The term "luxury" is one of the most overused labels in marketing today. It tends to be associated with expensive products, but Beauty Connection Spa offers an experience that not even unlimited money alone can provide. Ours is an experience beyond material luxury: High quality and Affordability. Beauty Connection Spa, which is the biggest day spa in UAE, is exclusively dedicated to bringing the highest level of service and technology from around the world to our customers. It is easy to think, feel and decide to look better. For some, little improvements can do amazingly great works and they end up looking beautifully refreshed and younger. When handled by our highly experienced staffs, you are sure to have a great change of looks for the better. We help you elevate your sense of wellness as you revitalize, unwind and yield to the affluent pampering at our exquisite ladies spa in Dubai. With highly proficient skills, our therapists provide unforgettable excellent services. 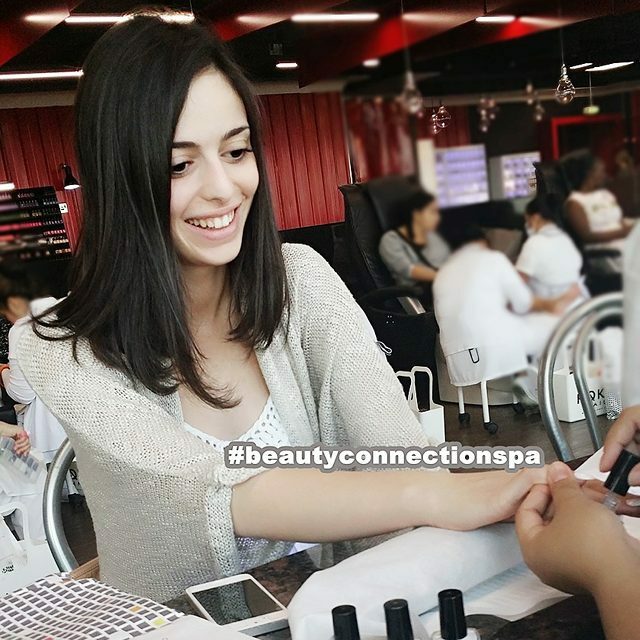 Beauty Connection Spa encompasses a wide range of treatments in each department, all carried out by our highly trained professionals, including Haircuts, Blow-dries, Gel Nails, Manicure, Pedicure, Waxing, Threading and Moroccan Bath. We are one of various prime tourist attractions in Dubai. When visiting this city, feel free to spend a day of high quality pampering at the biggest day spa in Dubai. Every customer who walks through the door of Beauty Connection spa is considered to be a VIP. But, for those who demand more privacy, we have specialized rooms in dedicated sections for a heightened level of tranquility. As the biggest spa in Dubai, we are highly dedicated to providing natural and posh body treatment that brings harmony and peace to your body and soul. So come visit us for a whole new relaxing experience, at the best spa in Dubai. Either alone or with your favorite gang of beasties, a day of fun and pampering at the best spa in Dubai has to offer would be an experience you will never forget. With 16 different flavors, our waxing services from Top to Toe is almost painless, user friendly and hygienically economical.